Today's review unit of the Seasonic S12III 500W arrived from Richmond Hill, Ontario, and traveled to our APH Networks offices in Calgary, Alberta. Traveling with Canada Post and their Expedited Parcel service, this box is clearly marked with Newegg all over it. 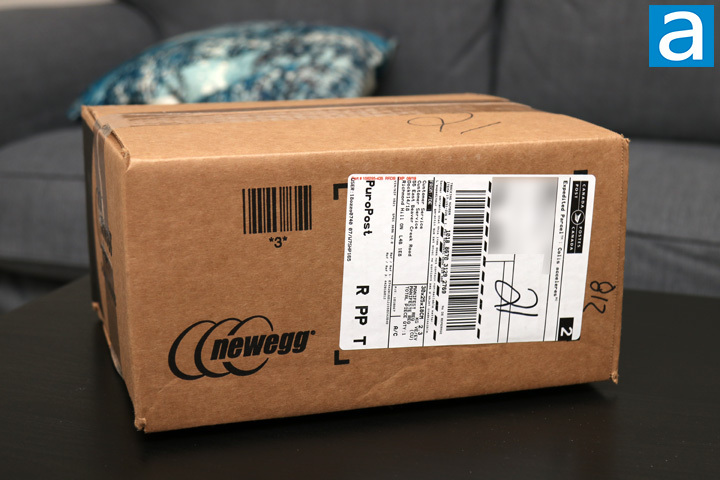 Combined with the origin of this package, I think it is easy to guess this box was sent to us from Newegg. This is not the first time we see packaging marked by an online retailer. Otherwise, this brown corrugated cardboard box arrived in excellent condition without any signs of damage to be concerned about. Even if there was any damage, the inside contents were also cushioned by several air pockets. I grabbed a pair of scissors and popped the box so we could get to the power supply. 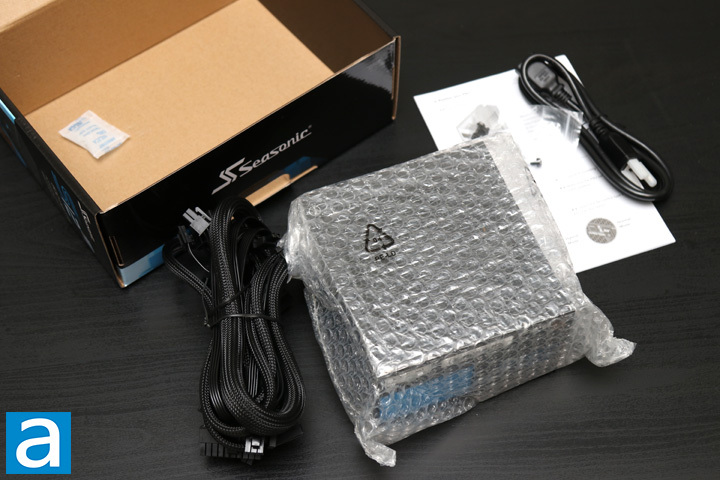 Unlike the other Seasonic power supplies we have received from them in recent times, the S12III 500W is quite a bit more basic in its external appearance. However, we still have a relatively clean blue and black theme with some features on the front. On the left side, you can see the Seasonic logo, followed by an 80 Plus Bronze efficiency sticker and a model name. Otherwise, the right side shows the five year warranty that comes with the Seasonic S12III 500W. While this is notably shorter than some other Seasonic units, this is still quite impressive compared to other competing products. Otherwise, around the sides are some more information about the S12III. 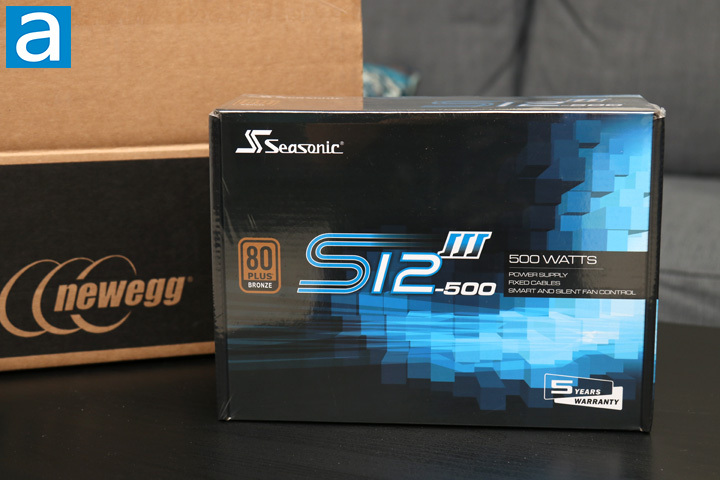 As this is more of a budget power supply, the Seasonic S12III 500W does not offer the same unboxing experience as you may expect. The unit itself can be found wrapped in a bubble wrap bag. Its fixed cables are held in a compact manner with twist ties, while the AC power cable is wrapped in a separate bundle. A small bag of four screws can be found to mount the power supply into your case, while a manual is provided for some more information about the power supply. Otherwise, there is not much else to look at, so let us take a closer look at the Seasonic S12III 500W. posted 3 hours and 48 minutes ago, with 1 posts. posted 3 hours and 48 minutes ago, with 2 posts. posted 3 hours and 49 minutes ago, with 8 posts. posted 3 hours and 49 minutes ago, with 7 posts. posted 3 hours and 53 minutes ago, with 15 posts. posted 3 hours and 53 minutes ago, with 59 posts. posted 3 hours and 54 minutes ago, with 11 posts.